Think fast: what’s better than no customer? A lapsed customer. Why? Because even though a customer hasn’t bought from you for a while, they still know you and hopefully trust you … even if you have to remind them of that fact. Once you do, however, you have a good chance of meeting a need you once met, and getting the sale again. On your side is the fact that if this person was once a customer, then that means you know quite a bit about them. Often you know their age and marital status, their family situation or their location. Even if some of these characteristics change, some will still be the same. A customer you once served is much less of an unknown quantity than one you’ve never built a relationship with. Figuring out how to leverage these lapsed customers to build your business can result in serious income for your business. Simply put, you should care because you’ve already done all the work. You worked hard to meet and schmooze that customer, gain their initial trust, get them to like you, shunt them along the sales funnel, provide customer service and attention after the sale, and educate them on the use of the product. They already know all about you and your product or service (even if they’ve forgotten some of it), and reminding them will take considerably less time, money and effort then educating a whole new customer. Need more proof? The numbers vary depending on the source, but the cost of acquiring a new customer can be anywhere from three to 30 times as much as the cost of keeping an old one. Those lapsed customers are a money-saving machine, if only you can get them back in the fold. So How Do You Get Them Back? You can engage with lapsed customers on many levels, but the idea behind a customer reactivation program is to give people a reason to start working with you again. That doesn’t mean that you immediately email them asking for a sale, but rather that you engage with them to offer information and content, prove expertise and build brand awareness. This is not only common-sense and polite, but will help you to avoid being written off or relegated to spam because your reactivation efforts lack relevance. Therefore it’s important to choose the right criteria for your customer reactivation program. 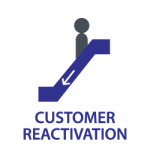 To start your customer reactivation program, you’ll need to decide on various factors. These include what medium to contact them through (phone, email, social media, in person), what content you should use to jump-start the relationship (informational, incentive), how you will follow up (through another medium, the same medium, a mix), how you will time the follow ups, and how you will personalize the message to make it most effective. Pop quiz: When is the best time to build your customer reactivation program? Answer: immediately. The longer you wait between a customer lapsing and your attempts to bring them back, the more stale the relationship grows and the less chance you have. On the flip side, the more quickly you can jump on the relationship, the more likely it is that you will earn that trust back and once again start building a profitable relationship with that customer. Of course, seeing the rationale and knowing how to do it are two different things, so let an expert help you make a plan to get your lapsed customers back. 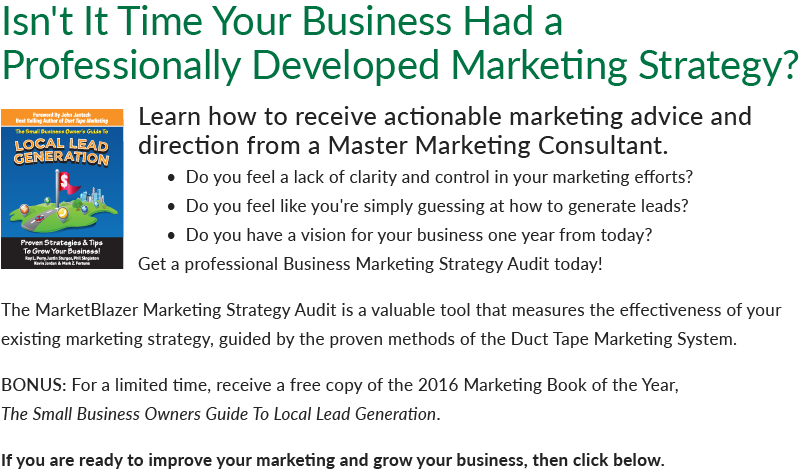 MarketBlazer has the knowledge and experience to help you leverage all that hard work you’ve already done, and build up your business in much less time than you could on your own. 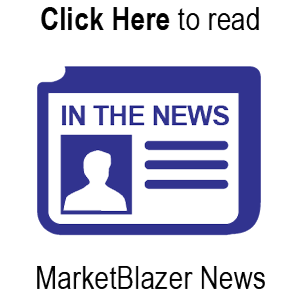 Give MarketBlazer a call at 770-893-2443, or connect online and we can talk about your next steps to building a Customer Reactivation Program, to bring back valuable past customers, to your local business.